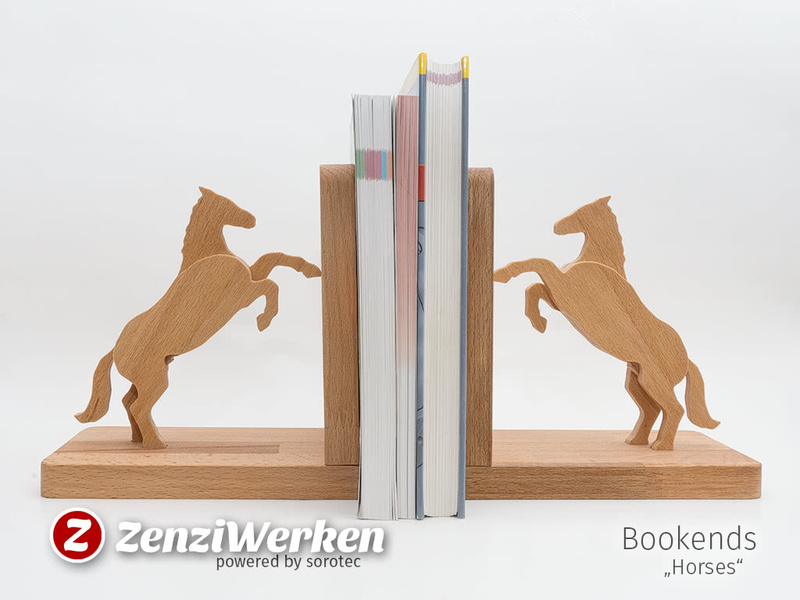 A friend of mine asked for some bookends, preferably sporting these beautiful horses I made a few lately. 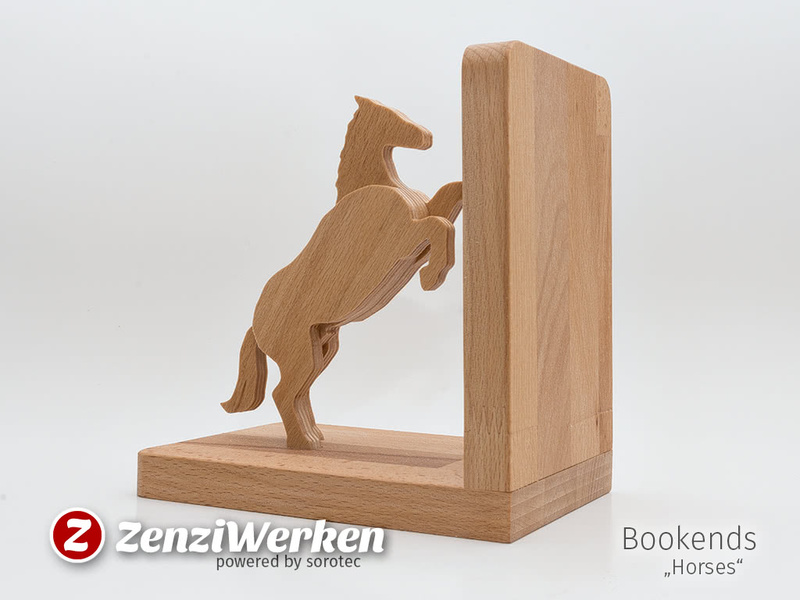 So I adapted the feet an made the bookend itself from 19 mm beech wood. I added screw holes so I could deliver the parts still separated. 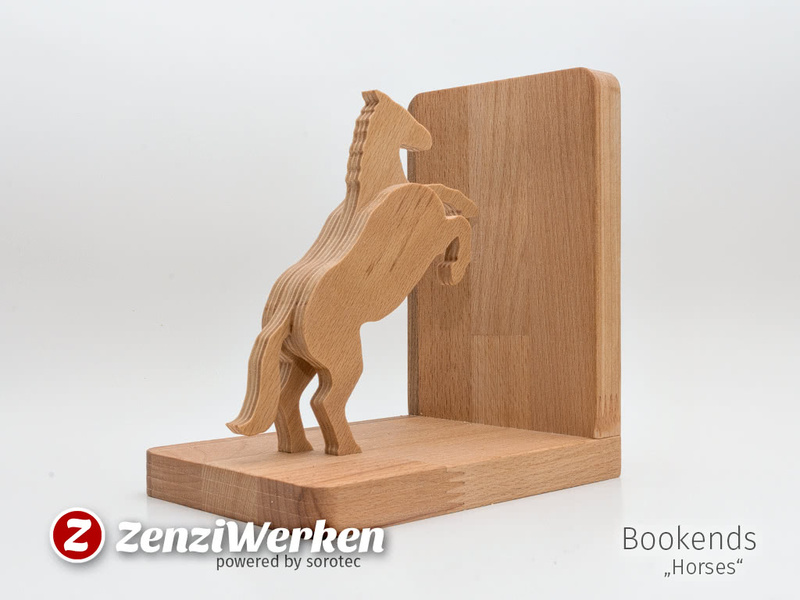 I cut the horse from 9 mm beech plywood with a 2.4 mm spiral toothed end mill and the book ends with a 4 mm endmill with 2 flutes especially intended for wood on my Sorotec BasicLines. 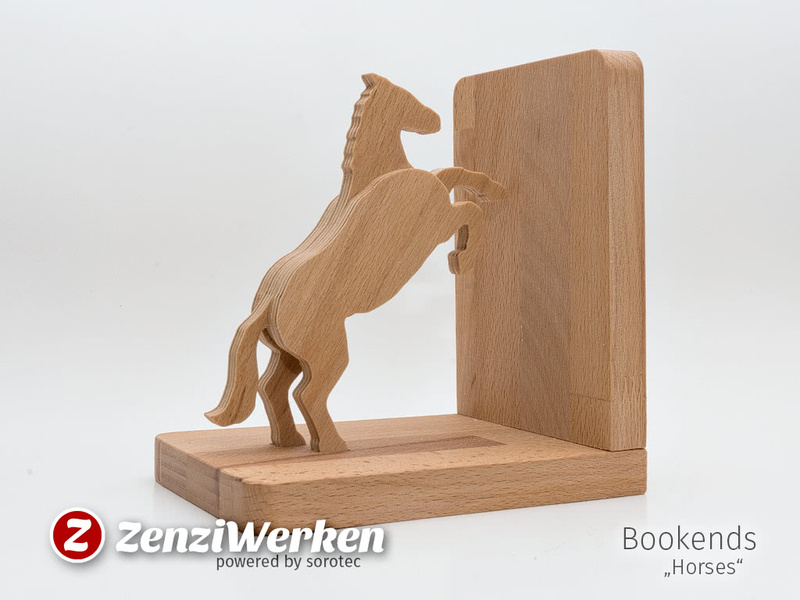 Make sure you only drill through the center center part of the horse. The outer parts only needs holes to the half depth just to align the parts with wooden pins.